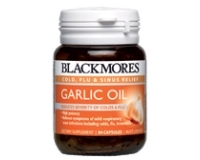 Blackmores Horseradish + Garlic helps to relieve the symptoms of sinusitis, hay fever and mild upper respiratory tract infections. It helps clear the sinuses and reduce mucous congestion. The pungent compounds, the mustard oils, found in horseradish are thought to be the constituents which give it the traditionally recognised decongestant effect. Horseradish has been found to have antibiotic properties and clears the respiratory passages. Garlic has traditionally been used for the relief of respiratory catarrh, recurrent colds, and flu . Garlic has been shown to have antibacterial, antiviral, antifungal, antiprotozoal and antiparasitic properties. Garlic contains sulphur compounds which are concentrated in the bulb. These sulphur compounds include alliin, a sulphur-containing amino acid. Alliin is responsible for many of the beneficial actions of garlic. Alliin is converted by enzymes naturally occurring in garlic to the active compound allicin, when garlic is cut, crushed or chewed . Allicin is responsible for the characteristic smell of garlic, and the biological activity of garlic lies in its ability to produce allicin . 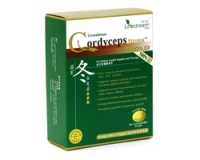 Adults – Take 1 to 2 tablets daily with food. Children under 12 years – Not recommended.